Hi everyone! A few months ago, a England launched their Elizabeth and Mary collection - a collection inspired by Elizabeth I and Mary, Queen of Scots. The entire collection is absolutely breathtaking, but so far, I have only been able to get my hands on one polish from it - Gloriana. 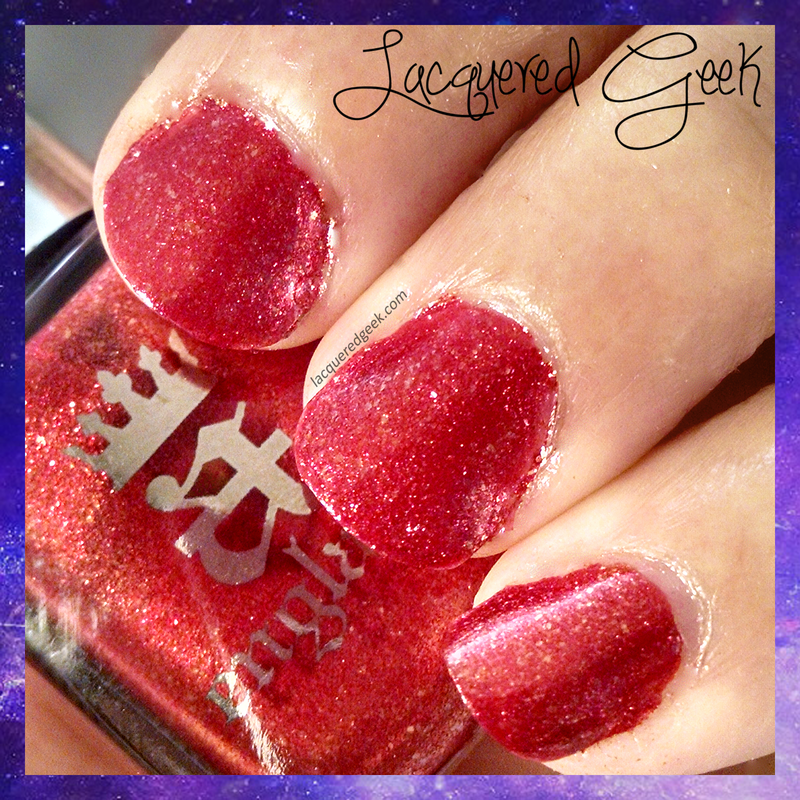 Gloriana is a chili-pepper red polish that is filled with pretty gold flakes. It is so warm and rich; it looks like it is on fire when the light hits it. It was absolutely perfect. It was a one-coater, and dried super shiny. I was a little concerned with staining, especially when I saw just how pigmented it was. But I did not experience any staining. 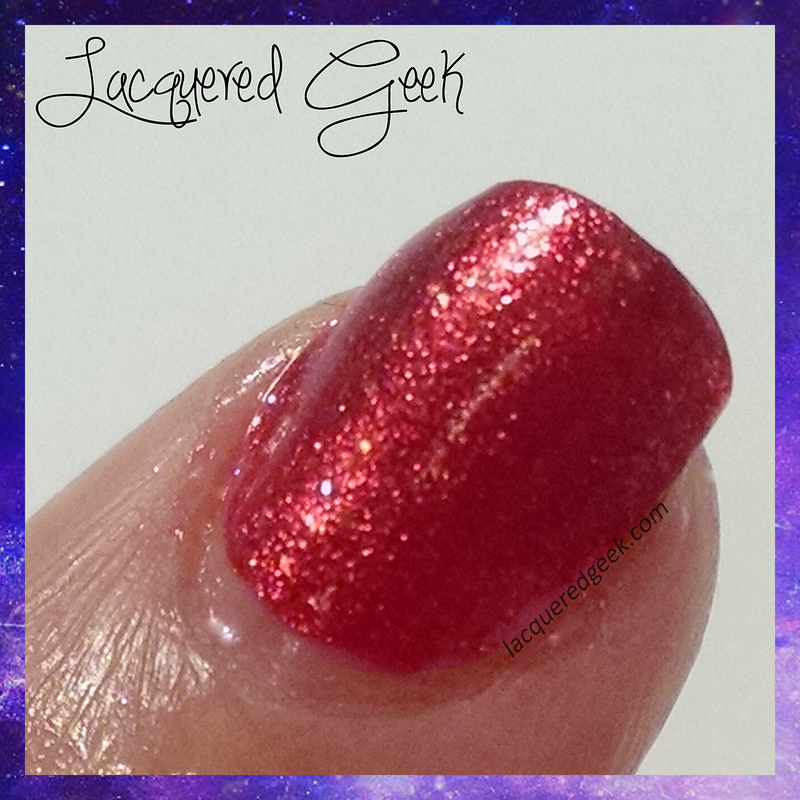 I did struggle with a little shimmer/microflake removal around my cuticles. 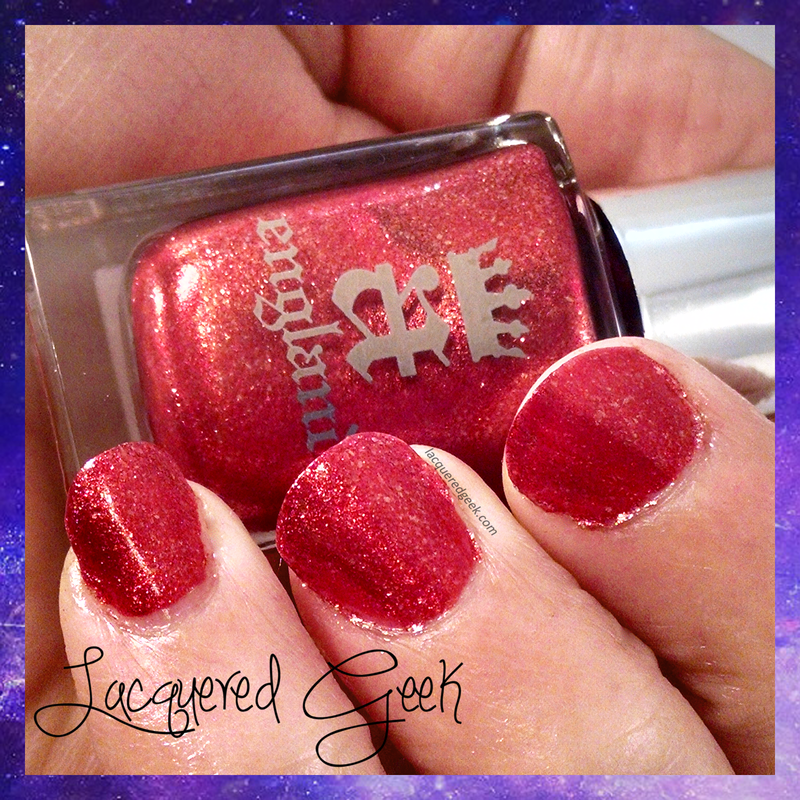 Gloriana is just gorgeous shimmery goodness in a polish bottle! 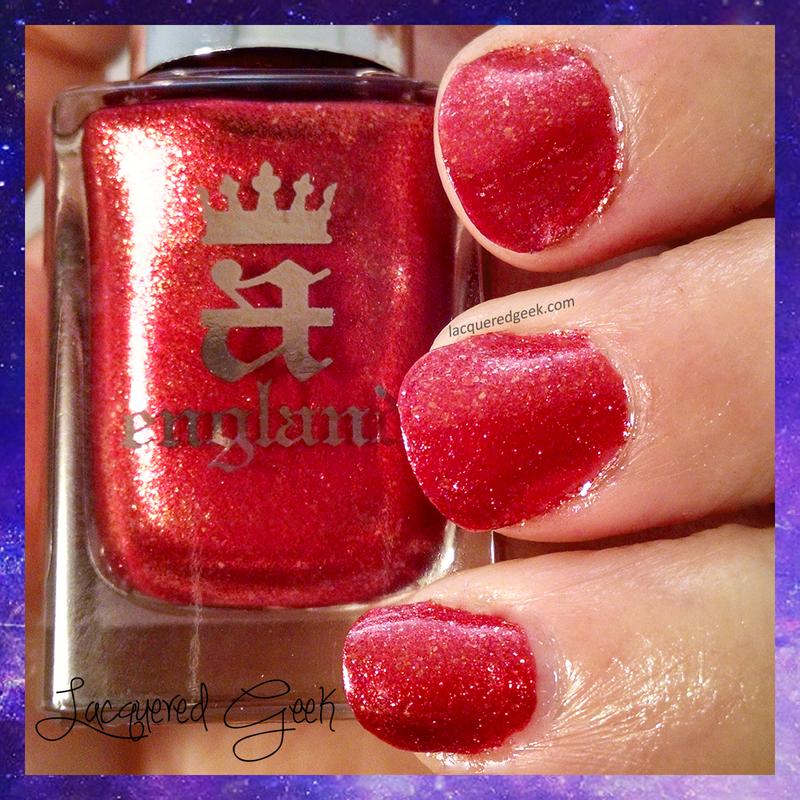 Due to the Royal Mail refusing to ship polish internationally, polish enthusiasts outside of the UK can no longer purchase polishes directly from a England. Luckily, they have great network of stockists who do ship internationally. You can find out more information about stockists in your area by going to the "Where To Buy" tab on the a England site.